When it comes to data protection and disaster recovery, speed is always of the essence. Every vendor then, touts that their system will meet your RTO speeds, but is it true? 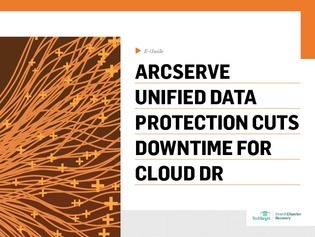 In this expert-guide, learn about Arcserve’s new Unified Data Protection system, which the claim delivers a five-minute recovery time objective and 15-minute recover point objective for data, and figure out if this service is fast enough for you.